The draw for the Euro 2020 qualifying groups take place on Sunday in Dublin, with Ireland set to learn their fate. 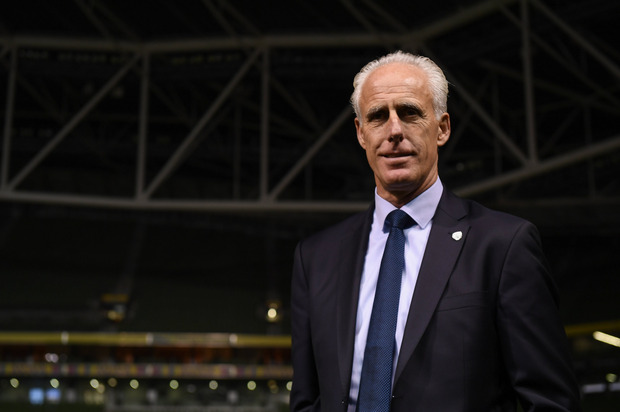 New manager Mick McCarthy will be at the Convention Centre, with Ireland among the third seeds. There are plenty of permutations, one of which could see the Boys in Green grouped with both France and Germany. Here is everything you need to know about tomorrow's draw, including the best and worst case scenarios for Ireland. How many teams are in the draw? There are 55 teams which means there will 10 groups five groups of five teams and five groups of sixteams. UEFA Nations League finalists England, Holland, Portugal and Switzerland are guaranteed to be in five team groups because they will play out the conclusion of that competition next June. 11am on Sunday morning at the Convention Centre. What channel is the draw on? Live coverage of proceedings starts on RTÉ 2 at 10.45am and on Virgin Media Sport at 11am. How were the teams seeded? Performances in the UEFA Nations League this autumn ranked the 55 teams with Ireland’s struggles in League B meaning they ended up in 23rd position in the charts - which resulted in a third seed status. How many teams go through? The top two teams in each of the ten qualifying groups will progress automatically to the finalsin the summer of 2020. Meanwhile, the four remaining places in the 24 team competition will be filled via the UEFA Nations League playoffs. Do Ireland still have a chance of a playoff? Yes, a very strong chance. The UEFA Nations League was split into four sections- League A (12 teams), League B (12 teams), League C (15 teams) and League D (16 teams). The four highest ranked teams from each league which do not qualify automatically from the competition will play in playoffs in March 2020. But Ireland struggled in the Nations League? They did, but they were in the second strongest section and it’s expected that quite a number of teamsfrom League B will go through automatically. And most of the teams in the Group A should go through too. Teams from the lower league will be bumped up to fill out League A placesif fewer than four miss out. Put it in simple terms! How could Ireland miss out on a playoff if they did badly in their qualifying group? They would need six teams from League C or League D to qualify automatically. That is unlikely given the profile of the sides in question - all of whom are third seeds or lower. However, Ireland’s poor UEFA Nations League results mean they would be very vulnerable to a tough playoff so they really cannot bank on that. The best route to the finals is via tomorrow’s draw. Are there are teams that will be kept apart? Due to political reasons, Gibraltar & Spain cannot be drawn in the same group. Similar comments apply to Bosnia & Kosovo, and Kosovo & Serbia. Yes, and they are relevant to Ireland as one of the 12 co-hosts. No two co-hostsc an be drawn in the one group. The other hosts are Azerbaijan, Denmark, England, Germany, Hungary, Italy, Netherlands, Romania, Russia, Scotland, Spain. When will Ireland know the order of the fixtures? UEFA say the dates and times will be confirmed on Sunday evening. The fixtures system is computerised but TV considerations and also issues related to climate are factored into the order of certain games. Competing nations have no scope for haggling; the conditions are laid out in advance. What sort of draws could Ireland get?